RSP TrueFit is a protein powder with additional fibre, probiotics, and antioxidants that you add to liquid in order to make a shake. Available in the flavours chocolate, cinnamon churro, and vanilla (& unflavoured version), it also contains 25g of protein in each serving. It looks to be a good quality protein supplement that you can use to replace a meal or as a support for your training regime. We review RSP TrueFit and find out if it is sustainable for long-term use, including what side effects you may encounter and what results you should expect. Change your mind and RSP Nutrition will charge you $15 even if your product has not been shipped. No comments Published Mar 21, 2019. RSP TrueFit is a meal replacement protein shake based on whey from grass-fed cows, plus additional organic superfood fruits and veg. The shake looks to be a good quality product but as ever, there is a difference of opinion from customers regarding the flavours. So, will RSP True Fit help you lose weight and improve fitness? Let’s take a look. RSP Nutrition is a Florida based supplements company that, according to the “about us” information, was formed by athletes in 2008 and has a mission to provide innovative supplements for everyday needs. This sounds good, but there is not much in the way of real information such as a company address or any real names. RSP TrueFit is a protein Shake with additional fibre, probiotics, and antioxidants. Each serving contains 25g of protein and is available in three flavours; chocolate, cinnamon churro, or vanilla. If you don’t like sweet flavours, you can choose the unflavoured variety although this does not seem to be a popular option with customers. The Grass Fed whey protein concentrate is obtained from pasture cows with a grass diet, which is much better for your health and for animal welfare as well. This is not the same as the Original TrueFit. Original is also on sale from RSP TrueFit and is not manufactured from Grass-Fed Whey, so you do need to be careful to choose the right one. True Fit is certified GMO free and is suitable for gluten-free diets. The product advertising claims this shake is also suitable for people following a low carb diet. What are the side effects of RSP TrueFit? Side effects are unlikely to be an issue for most users. However, common side effects of whey protein may include increased bowel movements, fatigue, abdominal cramps, nausea, thirst, and headaches. Whey protein is not suitable if you are lactose intolerant or have a milk allergy. How much does RSP TrueFit cost? RSP TrueFit is expensive. Buy from the official RSP website and it costs $31.99 for a 2lb tub which, according to the information, is sufficient for 20 servings. You choose your flavour at the point of sale. There is no price reduction for multiple buys. Shipping to the USA is free on orders over $75.00. Flat rate shipping costs are not disclosed but are added at the point of sale. Buy via Amazon from RSP Nutrition and each of the four flavour choices costs $31.48. There is also a double size 4lb tub size on sale for $49.97. Be warned. There is a slightly cheaper tub on offer which looks like the same product. This is the original version of this protein powder which is not manufactured from grass fed whey. RSP TrueFit is a protein powder that you add to liquid in order to make a Shake. The powder is available in four flavours: chocolate, cinnamon churro, and vanilla, and there is also a plain or unflavoured version which may suit you if you are not a fan of sweet flavours. Each serving contains 25g of protein. According to the product information, it is low carb too with just 4g per serving, so will be suitable if you are following a low carb diet. One of the major selling points about this supplement is that the whey protein (derived from milk production) comes from pasture cows that are fed on grass. Because industrial factory farming is very common in the USA, these days “grass-fed” has become less usual. According to research, cows with a natural diet of grass, produce milk (and whey protein) with a much higher content of omega 3 and Conjugated linoleic acid (CLA), whereas cows farmed intensively in super dairies are more likely to be treated with antibiotics and growth hormones. The product information states that the whey protein used in RSP TrueFit is certified hormone free, and comes from cows that have been raised outside on pastureland in Wisconsin and California. Other ingredients include a blend of 12 non-GMO fruit and vegetable extracts, 16 vitamins and minerals and a prebiotic blend of fibre. All these components come in the form of other branded supplements. Check out the ingredients tab to find out more. No background information to RSP Nutrition. Would a reputable company really provide only a PO Box as an address? Overall, RSP TrueFit looks to be a good quality protein supplement that you can use to replace a meal or as a support for your training regime. We have covered RSP Nutrition before. Check out our earlier review covering RSP Nutrition L Carnitine. The only address we have for RSP Nutrition is a PO Box in Miami Beach. This is P.O. Box 398776, MIAMI BEACH, FL 33239. What does RSP TrueFit claim to do? RSP TrueFit may help support a muscle building or weight loss program, but success or failure will depend upon the way you use this supplement. 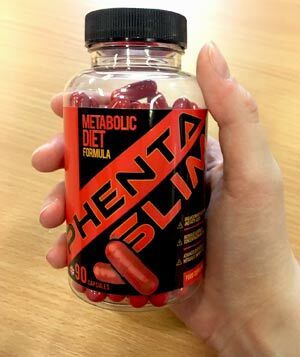 It is not a weight loss product as such but if you use it to replace a meal or as a snack following training, it does provide a low calorie and healthy alternative. Especially when compared with junk food, sodas, or chocolate bars, often the only food available in the gym. One advantage of a Shake product is that it is easy to grab something to eat (drink) when you are time-pressed or out of other options. Feeling fuller up after the Shake will help you avoid snacking, so may help you avoid the temptation of snacking. In addition, RSP TrueFit has some great benefits over many other protein supplements; we like the branded antioxidant supplements and the prebiotic alternative to sugar. Not everyone can manage to replace daily meals with a Shake but for occasional use, we can see that this supplement will work for some users. Serving size is equal to 1 x 45g scoop. The Shake contains 16 essential vitamins, but many of these will be present in the fruit and veggie blend as part of their profile. Here are the additional vitamins and minerals in this supplement. Ingredient quantities are fairly low. Lactospore (Bacillus Coagulans): Well known probiotic supplement made by the Sabinsa Corporation a well known US supplements manufacturer that provides ingredients for supplements and the food industry. The probiotic has GRAS status and is used in a wide range of probiotic supplements and dietary products to improve digestive health. Other Ingredients: Cocoa Powder, Natural Flavours, Xanthan Gum, MCT Oil Powder, Sunflower, Lecithin, Salt, Monk Fruit Extract, Stevia A. Caution: Not suitable for individuals under 18. Avoid if you are pregnant or breastfeeding. Do not use if you are lactose intolerant or allergic to cow’s milk. There are hundreds of customer reviews on Amazon, with new customers adding their feedback on a regular and recent basis. 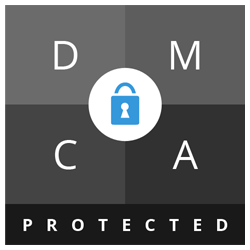 Opinion is mainly positive and according to scam software, mainly genuine. Good product. Tastes great. Sure I sometimes have problems mixing it completely, but all meal replacement shakes are like that. Tastes great. Fills me up for at least 3 hours. I was looking for a breakfast meal replacer to help with keeping me get a quick filling breakfast during my work week. RSP was recommended on a few websites so I ordered the chocolate and hoped for the best. I’ve been having it for breakfast all this week and I LOVE IT!! I hate it. It tastes like 100% chemicals and is terribly sweet. I really wanted to love it but after trying it a couple different ways – I had to throw it out. Total waste of money. Sorry I bought this. The cinnamon churro flavor is so sweet. Some customers have complained about various issues such as the lack of a serving scoop or the powder settling in the container, making it look half full. It’s disgusting! Super grainy and doesn’t mix well at all. No. There is no money-back guarantee on offer. If you change your mind after ordering and cancel before the product is shipped, you have to pay $15.00 cancellation fee. 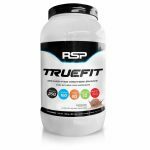 You can buy RSP TrueFit from the official RSP Nutrition website. It is also on sale via Amazon USA, as well as various independent retailers such as Bodybuilding. Com and similar. RSP TrueFit Grass Fed Meal Replacement Shake does look to be a good quality supplement. We think it is a great idea to use grass-fed milk and whey to replace dairy products and whey protein shakes. According to health authorities, grass-fed whey is higher in omega 3 fatty acids and CLA, so has many positive benefits to the customer. We also like the fiber and antioxidant content. This should help increase feelings of fullness and may have benefits for general health. Despite these good points, we do have some concerns. There is no money-back guarantee and we are not impressed by the fact that the product advertising touts the grass-fed version yet still sells the original product, because it is confusing. In addition, this whole area of using Shakes as a meal replacement is questionable. Yes, this method can be convenient for weight loss but it is always better to choose healthy food alternatives rather than rely on Shakes. Successful weight maintenance can only be achieved by permanent changes to your lifestyle, and we have seen too many people who have relied on Shakes and have lost weight, only to regain it all once the diet program is over. We quite like RSP TrueFit but in our opinion, it is not quite good enough to recommend to the Watchdog readers. 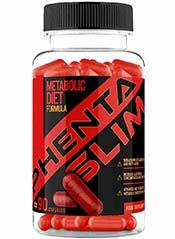 How does RSP TrueFit compare to Phentaslim?